We need your help with some upcoming community engagement events with our partners. 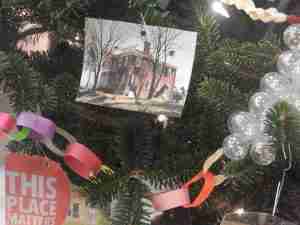 As we have been doing for the past few years, the Jonesborough Visitor Center will be hosting its Celebration of Trees again this year in December. So, we need our members to meet at the Visitor Center on Wednesday, November 28th at 4:30 pm to decorate our Christmas Tree this year. I want to thank those who helped make decorations for the tree to add to our theme of Threads that Bond. If you did not get a chance to participate there is still time. Please gather your thoughts, threads, and creativity and get to work and bring these ornaments to the Visitor Center next Wednesday! Also, on Saturday, December 8th from 10:30 am to 3:30 pm, the society will participate in Fun with Frosty and Friends event at the Visitor Center. The society will be doing a Cinnamon Stick Family Tree Craft with children who come through the event. This is also a time to great these children and their parents and grandparents and get them interested in genealogy! So your participation is of the utmost importance! Please let me know if you plan to participate and work our booth! 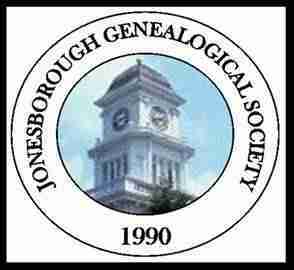 Finally, the last Genealogy Help Night of the year is Thursday, December 13th from 6 pm to 8 pm at the Washington County- Jonesborough Library. If you need to do some last minute genealogy research to put your Christmas present together for your family, this is the time to do it! Let’s fill the genealogy section this night! Happy Thanksgiving and Merry Christmas from the Jonesborough Genealogical Society!